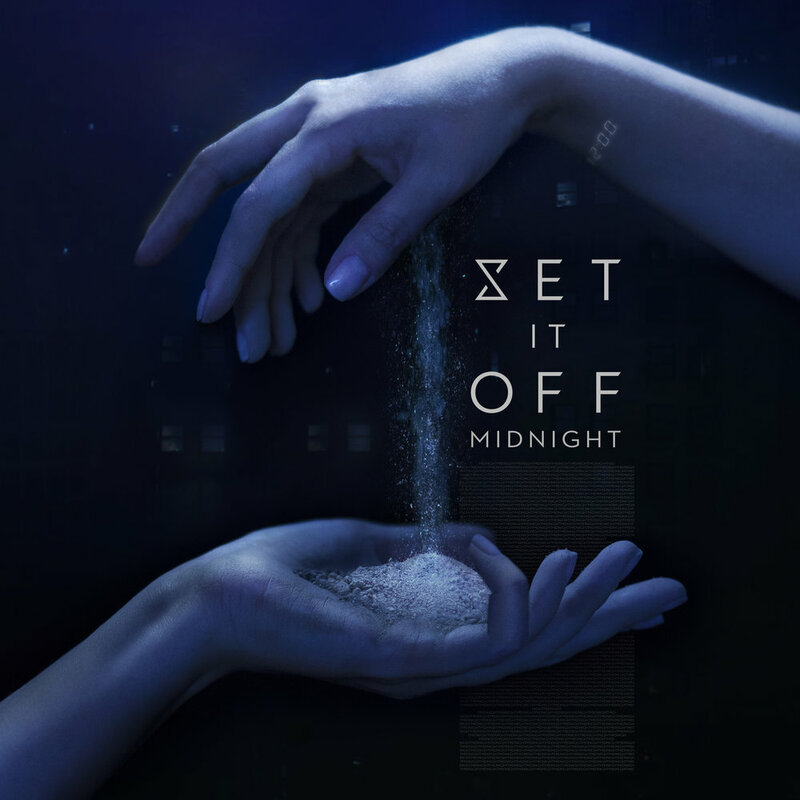 Set It Off who did a headline tour to promote their new single “Killer in the Mirror” off their new album Midnight last fall have finally released the entire album on February 1st. The band offered a number of different pre-order options and released the singles “Killer in the Mirror,” “Dancing with the Devil,” “For You Forever,” “Lonely Dance,” and “Midnight Thoughts” prior to the album’s release. The band even gave the fans the choice of which single would have the next video between “Dancing with the Devil” and “For You Forever” and the first choice was the winner. Midnight is an exceptionally well-written album that sounds like a mix of their previous release “Duality” along with a “Cinematics” feel. There are fifteen songs on the album, making it a longer release. The album features songs about relationships such as “For You Forever”, “Go To Bed Angry” (Ft. Wayfares), “Different Songs”, “Dancing with the Devil”, “Hourglass”, “No Disrespect”, “Raise No Fool” and “I Want You (Gone) ft Matt. Appleton). There’s a variety of relationships struggles in these songs, the ones that stand out the most would be “For You Forever” and “Go To Bed Angry.” “For You Forever” talks about a relationship where both parties aren’t sure if they’re ready for the commitment while one is left waiting and decides that they can’t wait forever. This song is the most relatable because it is highly likely that most people have been in a position like this. “Go To Bed Angry” talks about those fights and disagreements that occur in a relationship and how it’s better to resolve them instead of going to bed holding a grudge. I interpreted this song as more of a “life’s too short to be angry with each other when we love each other” message. The rest of the songs on the album strike me as more personal battles such as “Killer in the Mirror”, “Lonely Dance”, “Midnight Thoughts”, “Criminal Minds”, “Unopened Windows”, “Happy All The Time”, and “Stitch Me Up” falls into both of these categories. This album can be interpreted in infinite ways, and that’s one of the most beautiful things about music, but these are the themes that stand out. Another song that stands out is “Killer in the Mirror” because it runs with the idea that you are actually your biggest enemy. Poor self-esteem is such a big issue in today’s society, and I appreciate that Cody is so open with personal struggles. There are songs that make you want to dance, some that make you want to cry, overall we have a strong variety of raw emotions here. This album tells a story, this album reminds you that you’re not alone. The lyrics cut deep such as, “There’s nobody but me here, the killer in the mirror” and “Elegant and broken. Tasteful and tattered clothing I guess we’ve been caught in the middle of love”. This album carries a lot of pain, and also a lot of hope and healing. Listen to: For You Forever, Stitch Me Up, Killer In The Mirror and Go To Bed Angry.